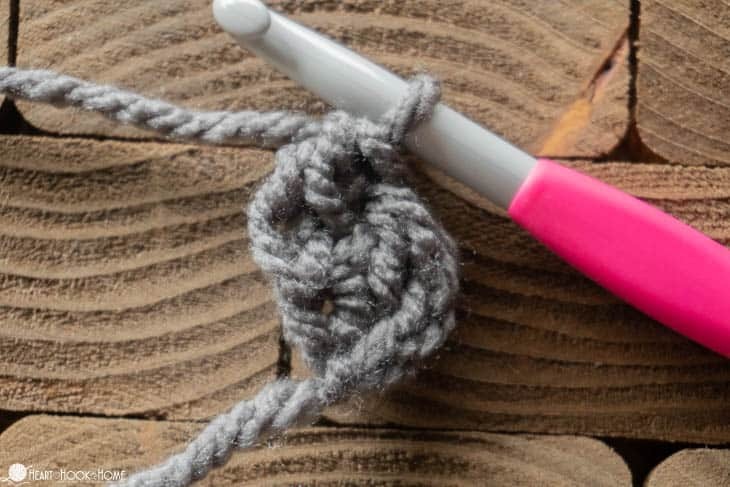 One thing I wish I had learned earlier on when learning to crochet? 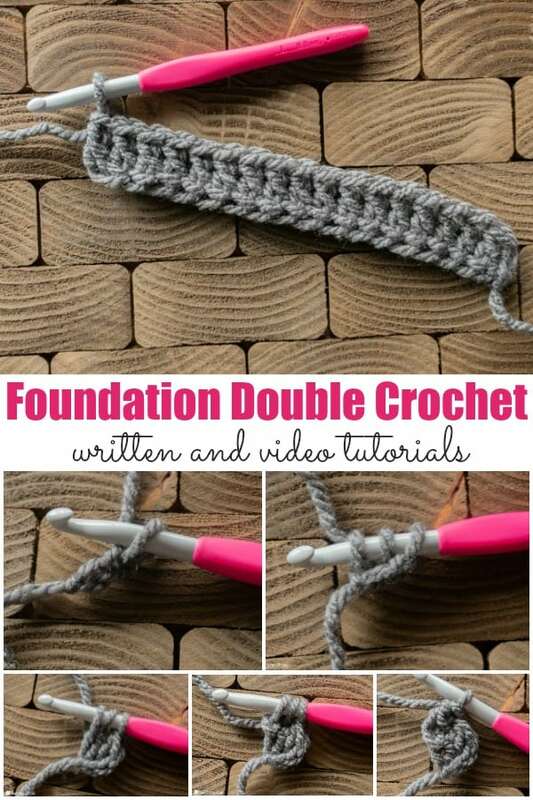 The foundation double crochet stitch! 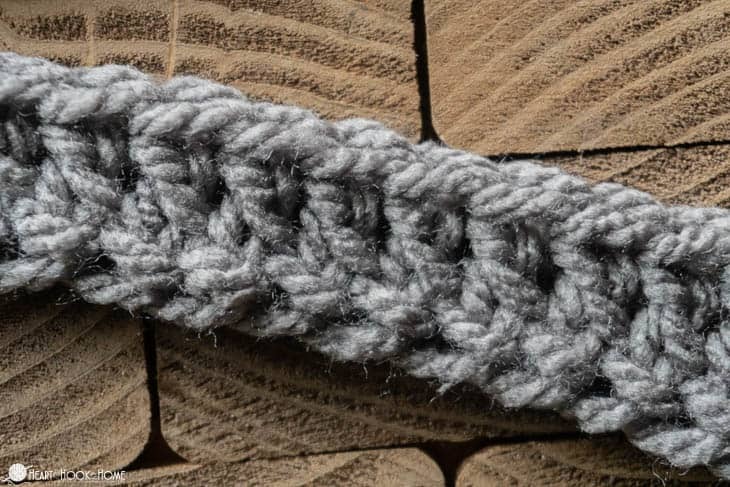 This stitch is perfect for starting a new project when you don’t like working back through your foundation chain. 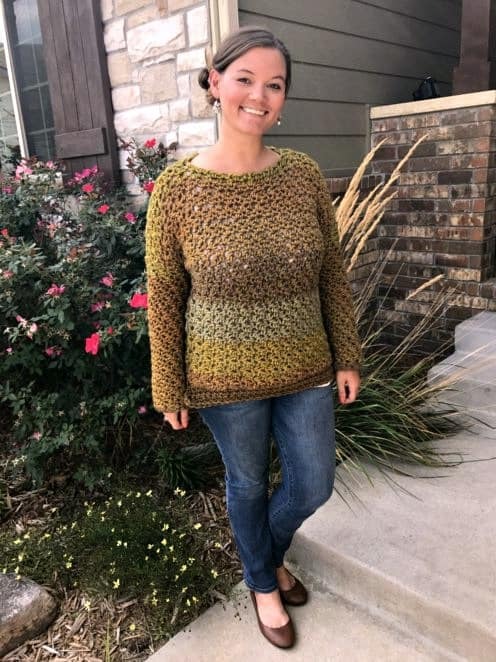 The foundation double crochet (abbreviated as FDC) is very similar to the foundation half double crochet, with one small difference. 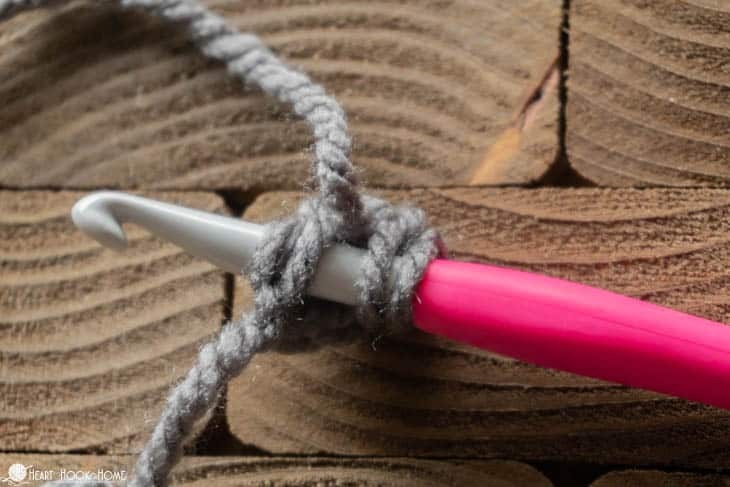 Foundation crochet stitches (single, half double, double) are particularly helpful when you’re not sure how long to make your beginning chain. 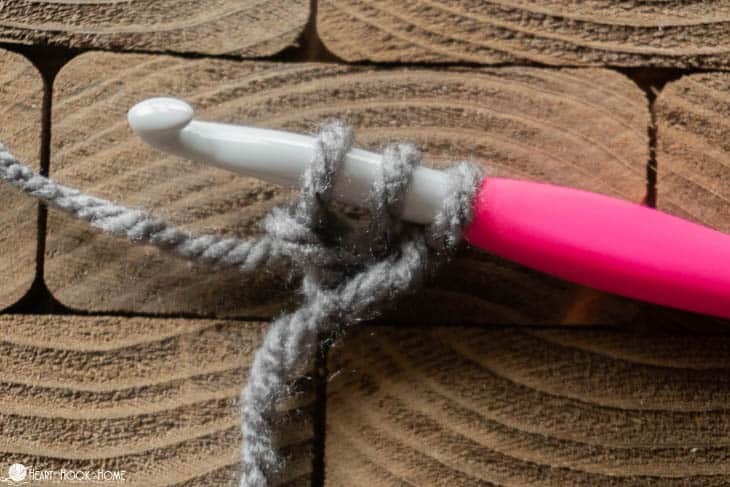 They are also great for starting a large blanket with a super long beginning chain or if simply you want that nice, pretty edge on the bottom of your piece. 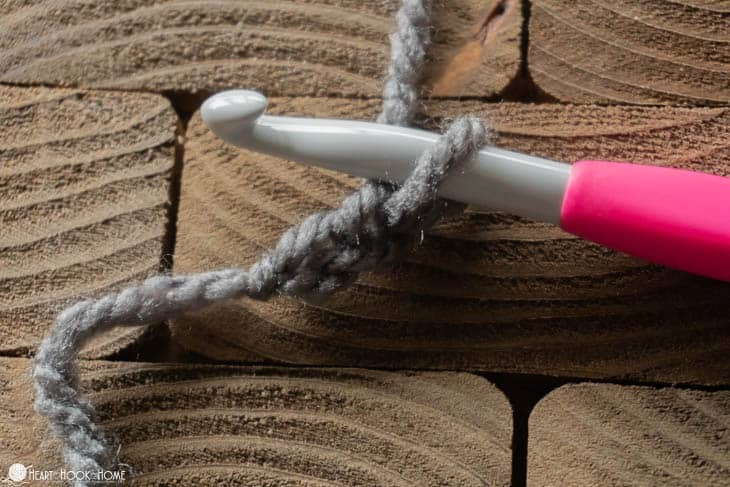 Grab your yarn and corresponding hook and let’s get started! 2. Yarn over, insert hook into very first chain made. 3. 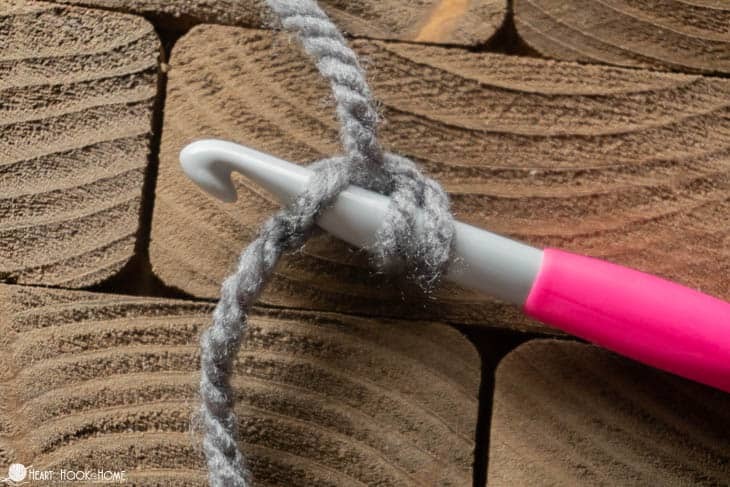 Pull up a loop (three loops on hook). 4. Yarn over, pull through one loop (three loops on hook). 5. Yarn over, pull through two loops. 6. Yarn over, pull through remaining two loops on hook. That’s it! First Foundation Double Crochet made! 6. Yarn over, insert hook into both sides of the BOTTOM of the previous stitch. 7. 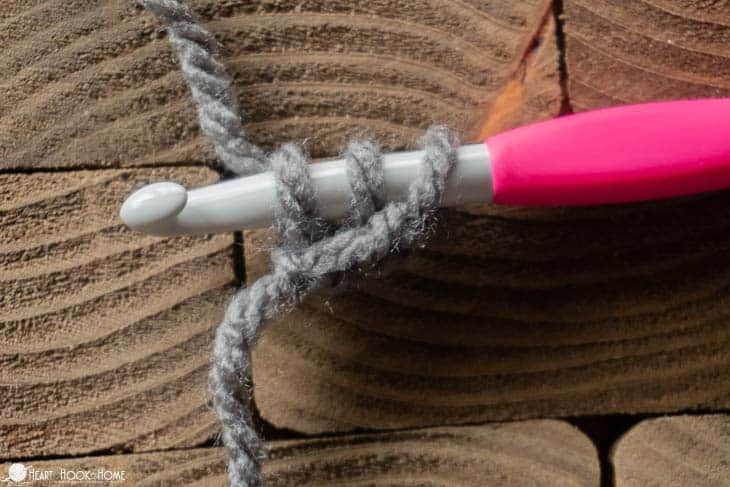 Pull up a loop (three loops on hook). 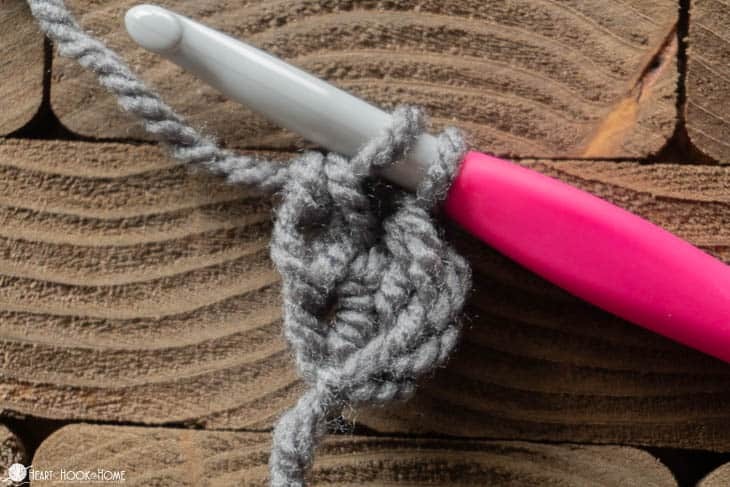 Tip: make this loop nice and tall so your finished work does not curl. 8. Yarn over, pull through one loop (three loops on hook). 9. Yarn over, pull through two loops. 10. Yarn over, pull through remaining two loops on hook. Voila! The second foundation double crochet stitch is complete! Continue adding new stitches (steps 6 – 10) until you reach the desired length of your piece. See the VIDEO tutorial below! 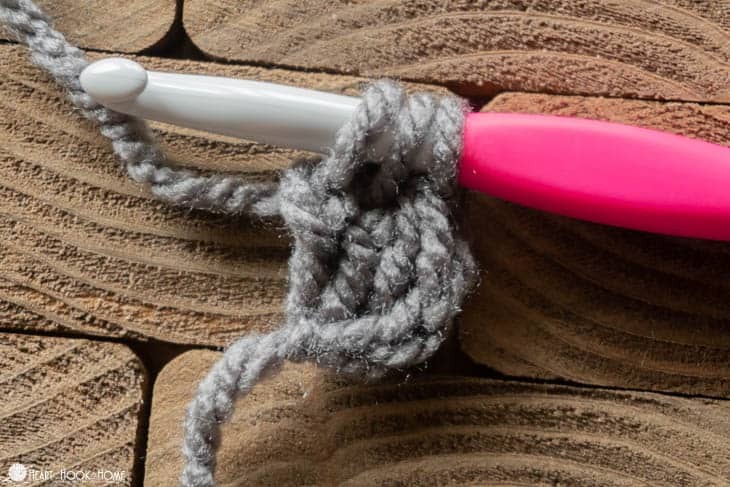 Why use foundation double crochet? I like to use foundation stitches because I dislike having to work back through a chain, especially long ones. When finished with the foundation row, you’re already finished with the first row as well! 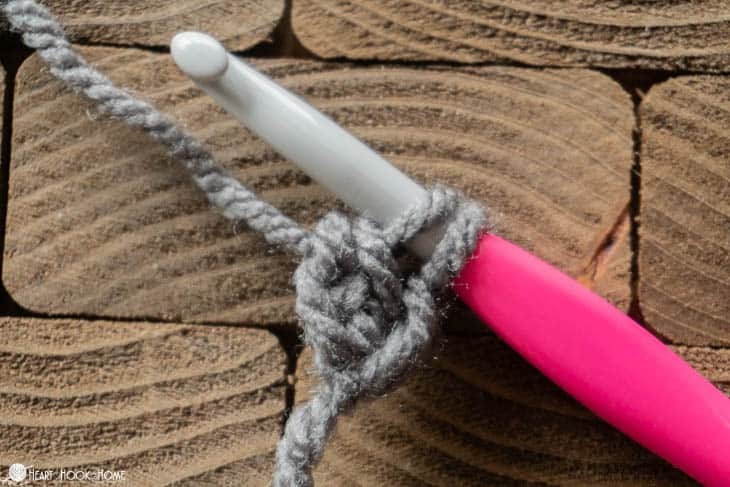 Where can you use foundation double crochet? Foundation double crochet is great for starting blankets with loooong starting chains. 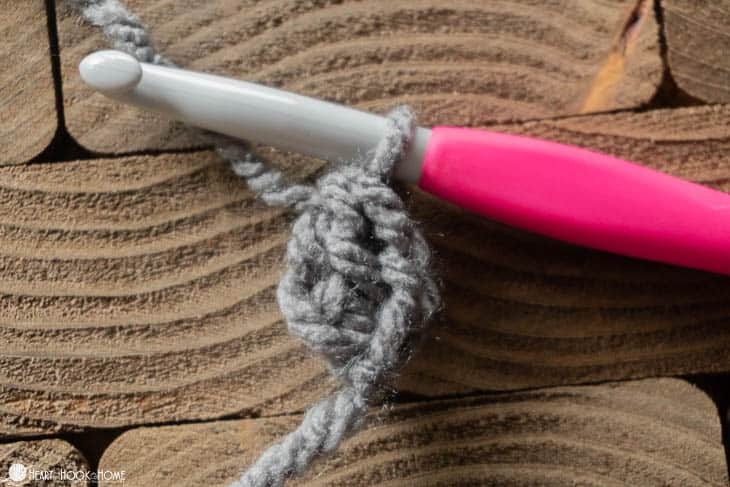 Just substitute this stitch instead of doing a chain and double crocheting back through. How do you replace chains with foundation stitches? 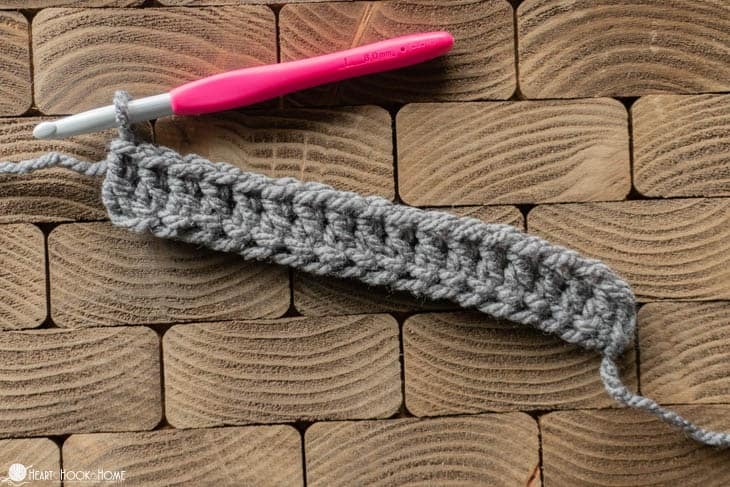 If working a pattern that calls for the first row to have ten (10) double crochets starting with a chain of 12, you know that you will need to do ten (10) foundation double crochets instead of those 12 chains. It is helpful to look at the end of the first row (or the second row as long as there are no increases or decreases) to make sure you are beginning with the correct number of foundation stitches. 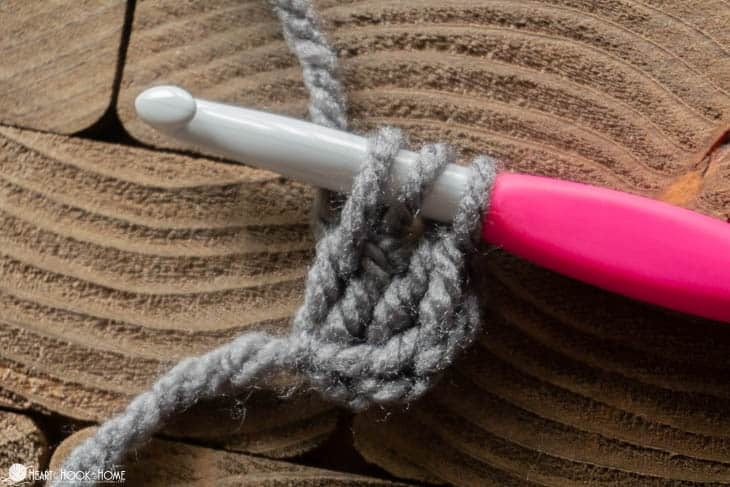 I would see that the first row will have a total of ten (10) double crochet stitches, meaning that I would start with a foundation double crochet 10 stitches long – instead of chaining 12. How do you start the second row after foundation stitches? Always look for the tail from where you started your foundation stitches. Is the tail coming out of the top or the bottom? Flip the work so that the tail is now the bottom of the row, working your next and subsequent rows into the top of the foundation row as shown in the video below. I hope you enjoy this new crochet stitch! 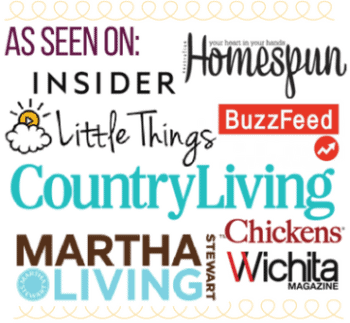 Thanks Very Much for all the wonderful knowledge you share with us.